In a world of 9mm AR-15s and 10mm carbines, ammo is no longer confined to it’s standard “handgun” or “rifle” designation. While rifles chambered in classic handgun rounds seem to be all the craze right now, we seem to forget that the opposite exists…kind of. Although not exactly a rifle round, the FN 5.7x28mm cartridge is also not quite a pistol round either. Clearly, the Five-seveN is truly a unicorn of the gun world. It is a lightweight polymer pistol that shoots FN’s own 5.7x28mm round. Five-SeveN Sure is a Nice Looking Gun! When NATO requested an alternative to the 9x19mm round, FN Herstal was the first to respond, presenting the 5.7x28mm cartridge. The 5.7 round was originally developed for the P90 until the Five-SeveN pistol went into production in 1998. In the early 2000s, NATO conducted a series of tests with the goal of standardizing a personal defense weapon round and replacing the iconic 9mm. 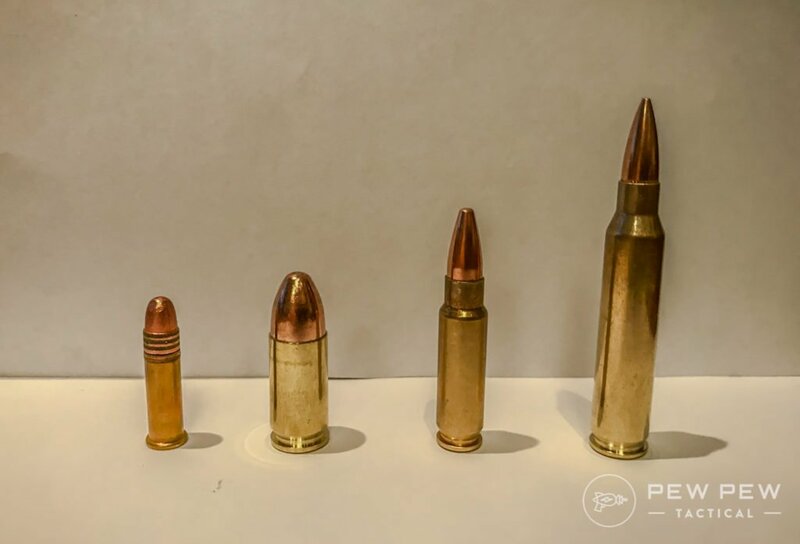 The 5.7x28mm surely impressed—it was highly effective, performed at extreme temperatures, and could even be manufactured on the same production lines as the loved 5.56x45mm NATO round. The Five-SeveN is a full-sized pistol and a compact-sized weight. It has a nearly completely polymer frame, with some small steel internal components. 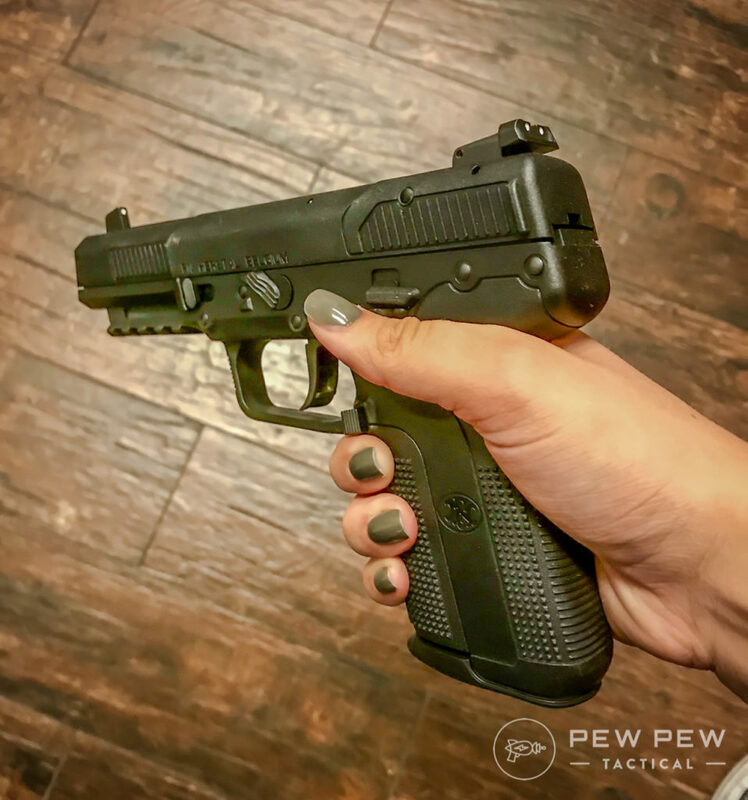 While the grip is considerably thinner than most full-sized pistols and a bit long, which could be a bit uncomfortable for some hand sizes, it features ambidextrous controls that are conveniently placed for thumb or trigger finger manipulation. Although the grip can feel a bit odd at first because it is so untraditional, it grew on me as I manipulated the gun and actually shot it. Adjustable rear sights for both windage and elevation, which is important because of the round’s uncommon ballistics. Since the 5.7×28 cartridge is so small it is easy to fit a lot of ammo into a single magazine, especially when using a double stack-double feed design. The design of the magazines is equally brilliant and lightweight. 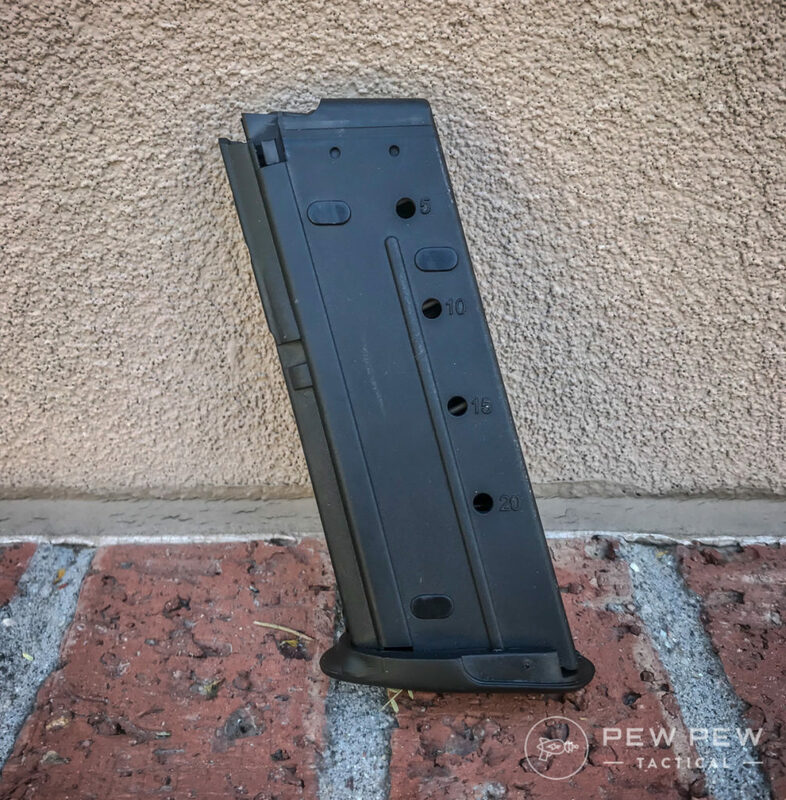 They hold 20 rounds and load in a similar fashion to standard AR magazines–you simply push the round straight down instead of maneuvering it in and under like in most pistol magazines. The Five-SeveN is also easy to disassemble with a simple takedown lever. Shooting the Five-SeveN is an absolute BLAST. Imagine the almost non-existent recoil of a .22 LR juxtaposed with the noise of an AR. The first few shots fascinated me yet confused me. I had never shot anything like it and could easily tell it is one-of-a-kind. The lightweight frame makes for a comfortable range session while magazines are a breeze to load. Sadly the rigger is not the greatest but features a pretty crisp break and moderate pull weight, my groups were pretty consistent with how I would normally shoot a handgun; maybe slightly better at longer ranges – likely due to the high velocity of the 5.7 ammo. I could see this gun being liked across the spectrum, from novice shooters to seasoned vets. The Five-SeveN has a sleek and almost futuristic look to it. It comes in either an all-black finish or a tan frame and black slide (my personal favorite). The rail can be outfitted with a flashlight and aftermarket night sights are available for purchase as well. Threaded barrels do exist for this gun and I can only imagine what a great time it would be shoot suppressed. The 5.7x28mm cartridge was designed to meet a goal and in that role it is unequaled – but the Cold War is over and the need for armor penetration in an EDC is limited at best. 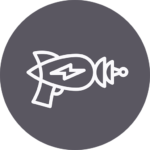 On the pro side, it is extremely lightweight, has a decently heavy trigger pull and safety, very high magazine capacity, and effective stopping power. Looking at the cons we have expensive to shoot ammo that is only available in FMJ, and the high possibility of over penetration due to such a fast round. As with most things, it is a personal choice as to whether this is a viable carry gun or just a fun range toy to make your friends jealous. However, we tend to be on the side of the fence that says there are Better Options for Full-Size EDC. Nice grip texture, super lightweight, but an oddly shaped grip could be uncomfortable for some. Better than most handguns, especially at longer ranges. I had no issues with it jamming, ever. After doing some research I did not conclude that there were any known reliability issues and NATO testing definitely backs up the effectiveness of the round. This category is lacking a bit because the gun is not very common and the design is unique. It might just be better to leave it as it comes from the factory and trust FN’s creative design. I like the almost futuristic and very sleek look, but it does not necessarily look special, especially for the price. This is the real kicker. The actual gun is expensive and the ammo also expensive. While it could make a great splurge purchase, it is not exactly a cheap plinker. Really the only downside to this gun is the price, not only out the door of your FFL but also in trying to keep it fed. There is also the fact that although 5.7x28mm was a perfect solution the problem it was designed for – there just isn’t much of a need for it currently. But, if you have the money and the desire, it will always turn heads at the range. 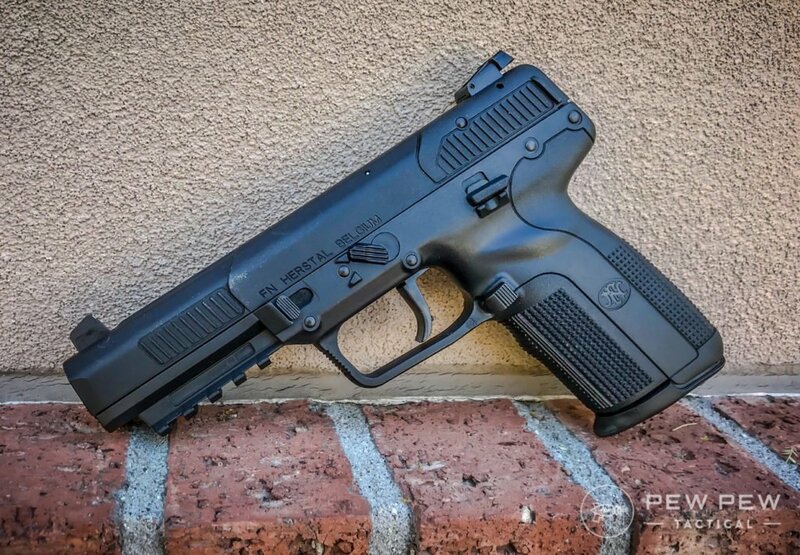 If you have the chance to shoot a Five-SeveN, you should. It is unlike any gun I have ever shot and is truly a remarkable weapon. The unicorn of the polymer pistol world is definitely not for everyone but has surely caught the attention of many. 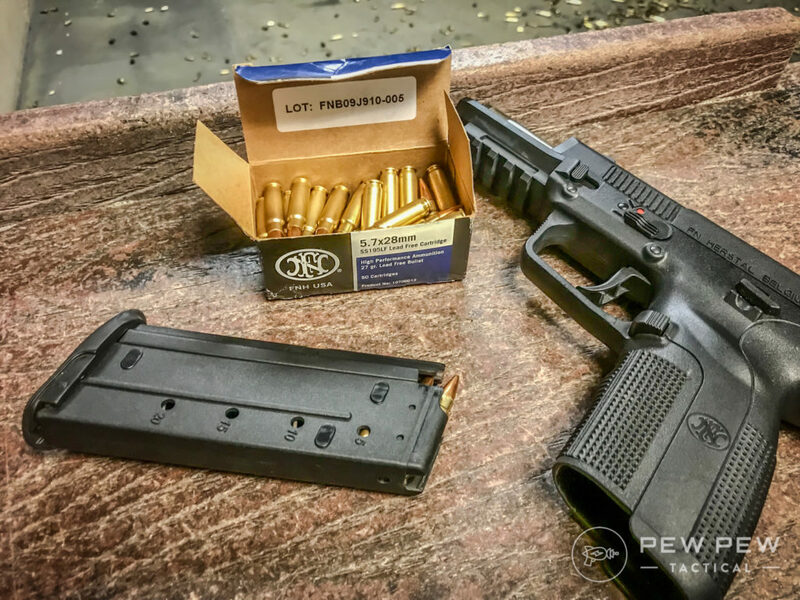 An amazing combination of a lightweight frame, high-speed but low recoil round, and loud bang come together to make the FN Five-SeveN noteworthy and intriguing. Do you have a Five-SeveN? Plan on getting one? Let us know in the comments! Check out more of our favorite guns & gear in Editor’s Picks. 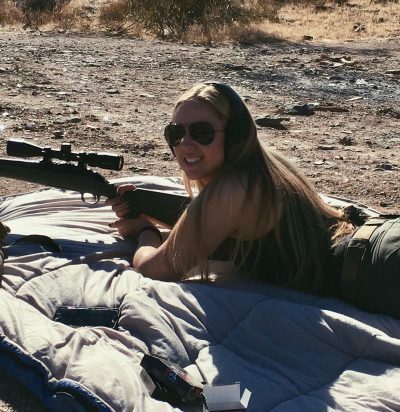 Lexi Olson is currently a full-time college student, range worker, and gun nerd. She has a strong love for spending time outdoors, shooting and learning as much as she can about weapons, ballistics, and marksmanship. Just had 300 rounds come in. Waiting on my M11-A1 to sell then I’ll be adding the 5.7 to my ever growing collection! Got my 5.7 6 weeks ago, been “looking” since I saw a friend who had one a year ago. Been intrigued ever since. Fired about 80 rounds at the range, 4 days later qualified for my CC permit with it. Great pistol! Looking forward to more range time! The local range I shoot at had both the five-seven pistol and the P90s for rent. I tried them both. They were only fun to shoot while they actually worked. Both guns constantly jammed on me, and the P90s jammed so bad that they had to take it out of service for their gunsmith to look at. So they both get an F in the reliability department from me. Rented guns are like that, there are several military level tests though showing that both the Five-Seven and the P90 are highly reliable.